Photo: FilCom basketball players dropped in on the Lolo and Lola eatery in the heart of Canberra to get energy before a game. Lola (Kim Prieto) is seen in the middle doing her basketball moves. 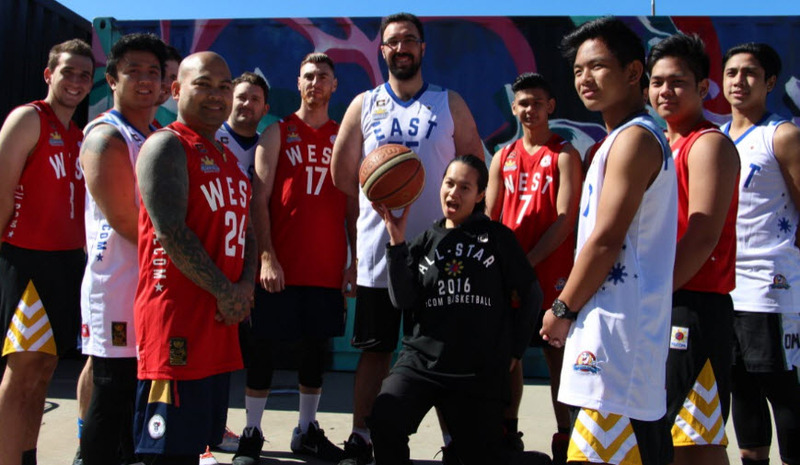 Lola (Kim) who makes up half of the popular Lolo and Lola Filipino eatery in the heart of Canberra, is a true celebrity as she posed with the tough guys from the FilCom basketball league in Canberra, which is organised by Filipino-Australian sports manager and advertising guru Dennis Benedictos. They all looked great as Lola, who likes to say she is a shy wallflower with a smile, showed off her basketball moves with enthusiasm to the great delight of the eatery customers, onlookers and players.